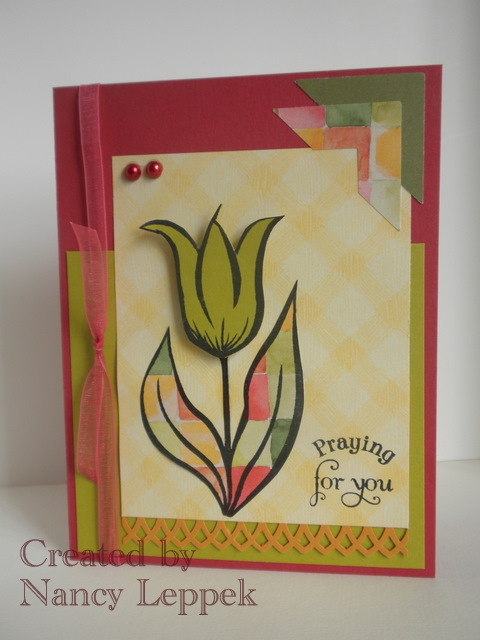 The card I have for you today is for a Fall Color Challenge over at Our Creative Corner. My card doesn’t entirely scream fall, but I am pleased with how the colors came together. As always thanks for stopping in! Categories: Cards, challenges | Tags: Card making, Cards, Flowers, Our Creative Corner, rubber stamps, stamping, Thinking of you | Permalink. What a great card … love that flower image and patterned papers! Thanks for joining us at Our Creative Corner!! !